This August there will again be a short series of brief, reflective, quiet services in St Andrew’s Colyton. Thursdays 3rd, 10th, 17th and 24th from 6.30-7.00. All welcome. 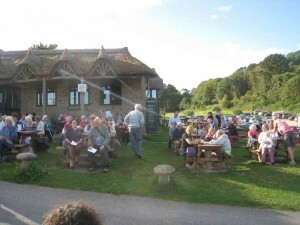 Branscombe’s popular summer Songs of Praise services at the beach return this year, at 6.00 pm on Sundays 11th June and 20th August. Come along for a good sing! Parking is free by kind permission of the Sea Shanty – and let them know if you want fish and chips there afterwards. Messy Church had a great trip to the Seaton Jurassic Centre on Sunday 9th July. Many thanks to Claire and all the team at Seaton Jurassic for a wonderful afternoon. 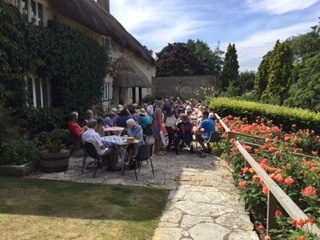 Once again it was lovely weather on Sunday 9th for the cream tea and open garden at Musbury Barton, by kind permission of Lt. Col. Tony Drake. Just over £500 was raised for church funds. This month Messy Church on 9th July is going for an outing instead of meeting in the Reece Strawbridge Centre. Anyone who would like to come please phone Kathryn Radley on 07599 292449 for details. 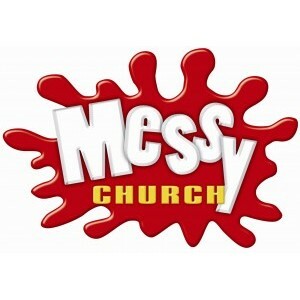 There will be no Messy Church in August or September, and we are meeting again in October. Our next Breakfast Service at St Andrew’s Church takes place on Sunday 16 July. As usual, we begin with breakfast at 10.00 followed by a short all-age service beginning at 10.30 and lasting around 35 minutes, with plenty to engage all ages, including young children.